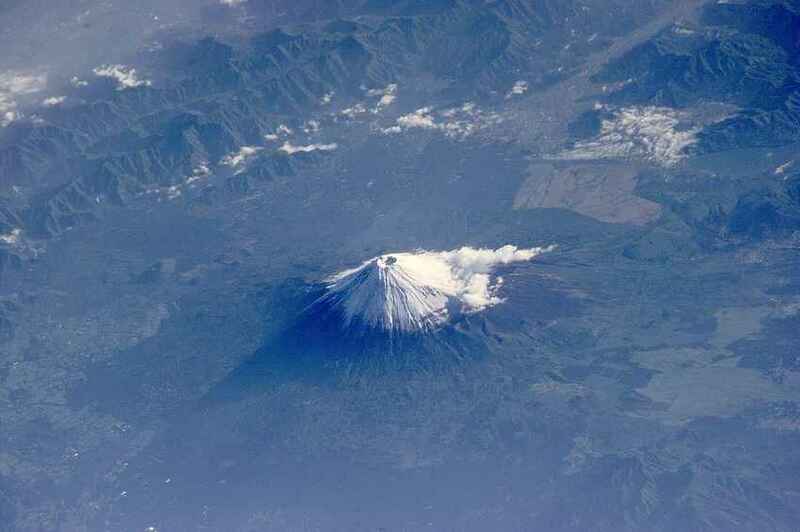 At more than 12,000 feet, Mount Fuji is Japan’s highest peak. 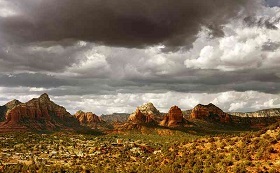 It is also the most popular and prominent tourist attraction in the country. From afar, the mountain commands a marvelous presence but climbing it is an entirely different and memorable experience. Climbing magnificent Mount Fuji is usually a morning activity because it is one of the most notable attractions in Japan. However you can expect to see a crowd of hikers who also want to conquer the peak with you. Mount Fuji from a nearby meadow” by skyseeker – https://www.flickr.com/photos/skyseeker/11078938913. CC BY 2. Mount Fuji is one of Japan’s “Three Holy Mountains” along with Mount Tate and Mount Haku. The mountain is also a Special Place of Scenic Beauty and one of Japan’s Historic Sites. It was added to the World Heritage List as a Cultural Site on June 22, 2013. 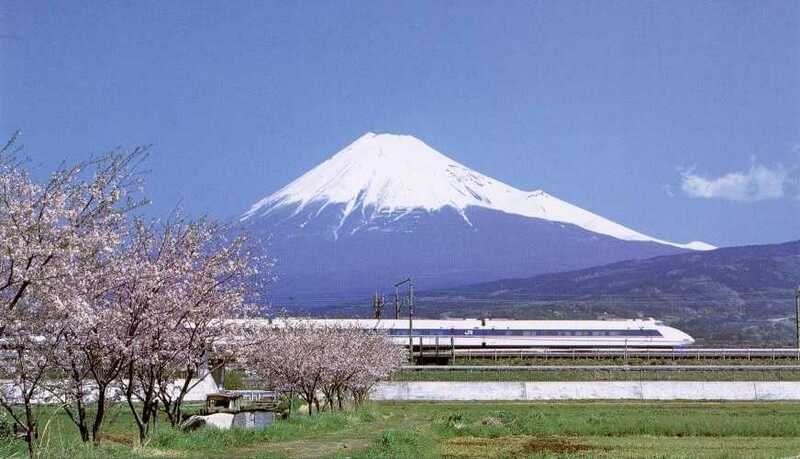 As per UNESCO, Mount Fuji has “inspired artists and poets and been the object of pilgrimage for centuries”. UNESCO recognizes 25 sites of cultural interest within the Mt. Fuji locality. There is probably no way you can avoid the crowd when climbing this becoming mountain. This is also the reason the experience is quite distinct. There will be a large number of climbers who want the same thing as you. Because of this you will be part of this temporary community which can make the hiking trip more enjoyable. The official climbing season is from July to August. That’s when the mountain’s weather is milder and is not covered with snow. This is when the huts on top are open for business. The crowd is relatively smaller during the period of June to September. However, not many huts will be open and public transport is not that extensive during these four months. 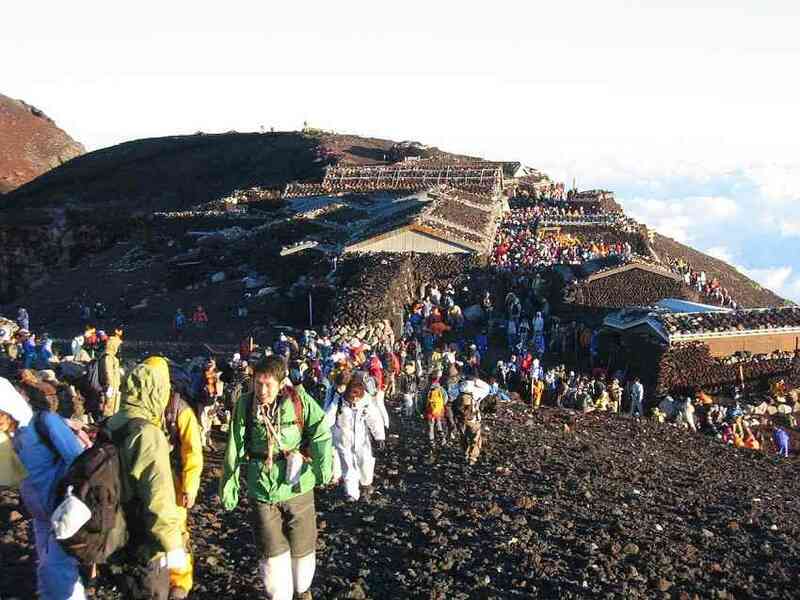 If you decide to climb Fuji during winter, you will need snow safety gear. You’ll also need some training on technical mountaineering. It is, as expected, more dangerous climbing the mountain during the colder weather and probably snow and ice conditions. There are four major routes from the fifth station to the summit. Plus an additional four routes from the foot of the mountain. The Yoshida Trail is undoubtedly the most popular of these four trails at the foot of the mountain. As a result, it receives the most crowds. The Yoshida route still has many old shrines, teahouses, and huts along its path. If you are a novice hiker, then making the ascent via the Yoshida Trail will make the trip less stressful. One of the advantages of following Yoshida Trail is the number of uphill and downhill mountain huts along the trail. Many of them offer refreshments and shade to tired hikers. Many hikers want to reach the summit before sunrise. But if for some reason you don’t make it on time, the Yoshida Trail can give you equally gorgeous views of the sunrise. In addition, there are two first-aid stations on this trail. Getting lost around the area is nearly impossible. You can start hiking the Yoshida Trail from the Fujiyoshida Sengen Shrine. It is situated at the base of the mountain. This trail is approximately 8 miles long and can be completed in around five to seven hours. The return trip is usually shorter, averaging three to five hours. Another main reason the Yoshida Trail is so popular among visitors is its easy accessibility from downtown Tokyo. Public transportation to this trail is available all year round except for heavy snow situations. The Yoshida Trail covers the fifth station of the Fuji-Subaru Line. It is also known as Yoshidaguchi 5th Station or Kawaguchiko 5th Station. The Subaru line is a picturesque toll road located on the lower slopes of Mount Fuji. It begins in the town of Kawaguchiko. Aside from being part of the Yoshida trail, the 5th Station also provides an incredible view of the Fuji Five Lakes. Once you reach the 5th Station, you have access to parking lots, lockers, shops and restaurants. There are many daily buses that go to and from the Shinjuku Station in Tokyo. They also go to the Fuji Subaru Line 5th Station during the climbing season and most of September. You can also book a guided sightseeing bus tour that pick up guests from Tokyo. Other alternatives including renting a car or hiring a taxi. Take this quiz about The Yoshida Trail on Mount Fuji, Japan and see how much you’ve learned or remember. Be sure to watch the videos after the test. This Travel Quiz is about The Yoshida Trail on Japan’s Mount Fuji. This is a true false quiz. The level of this quiz is easy. 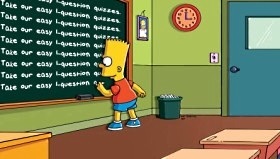 This quiz is timed (2 min) so be aware of that. 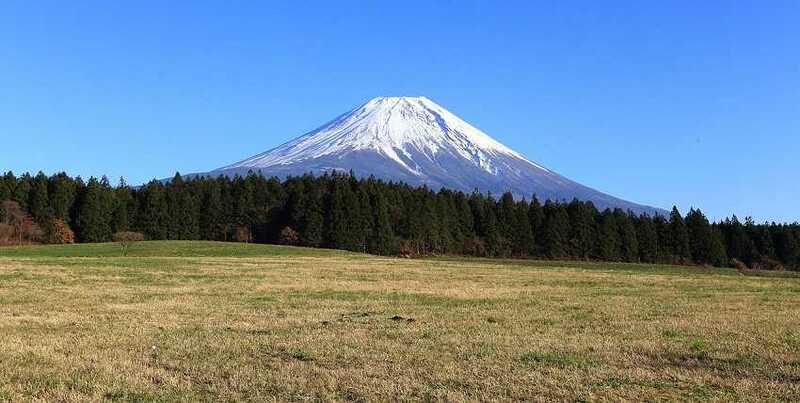 Thanks for taking this quiz on The Yoshida Trail on Japan’s Mount Fuji. We climbed Mount Fuji (Fujisan) in August 2012 by the Yoshida trail starting from the city of Fujiyoshida (North side of mount Fuji). We were blessed by exceptional weather. Climbing Mt Fuji san – using the yoshida trail -ascent 6hrs descent 3hrs – I didn’t time it right so I got back to base of mountain at 9pm last bus left at 7pm, had to use my wits to get back to town that night – Japanese are very helpful and friendly! A special group of men both guided visitors to the top of Mt. Fuji and carried their baggage. At one time there were many of these mountain carrier-guides, who would fasten as much as even a hundred kilograms of weight to a special frame and tote it up to the peak. It was these carriers who took supplies up the Gotemba Trail to the peak for staff who would conduct observations through the winter at the Mt. Fuji Weather Station. When a radar dome was built at the station, they carried heavy building materials, and their contribution to the weather station remains the stuff of legend. Mt. Fuji in winter is subject to powerful gusts of wind, making this work very dangerous. There are also the carriers on the Yoshida Trail, where most of the ‘congregation’ groups of believers ascend, and the ‘shrine carriers’ on the Fujinomiya Trail, who specialize in items and supplies for the shrines on the mountain top. Now that roads lead to the top, these bearers have disappeared, but the air of Mt. Fuji still whispers of these special people who loved the mountain, and dedicated their lives to it. False – At more than 12,000 feet, Mount Fuji is Japan’s highest peak. True – Another main reason the Yoshida Trail is so popular among visitors is its easy accessibility from downtown Tokyo. False – One of the advantages of following Yoshida Trail is the number of uphill and downhill mountain huts along the trail that offer refreshments and shade to tired hikers. True – You can start hiking the Yoshida Trail from the Fujiyoshida Sengen Shrine, which is situated at the base of the mountain. 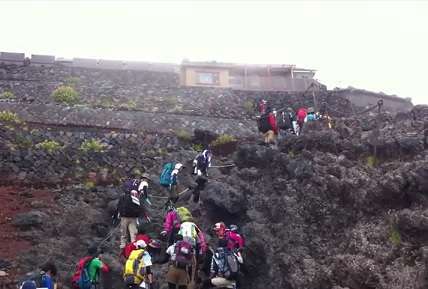 Japan, Mount Fuji, mountain climbing, Yoshida Trail. Bookmark.